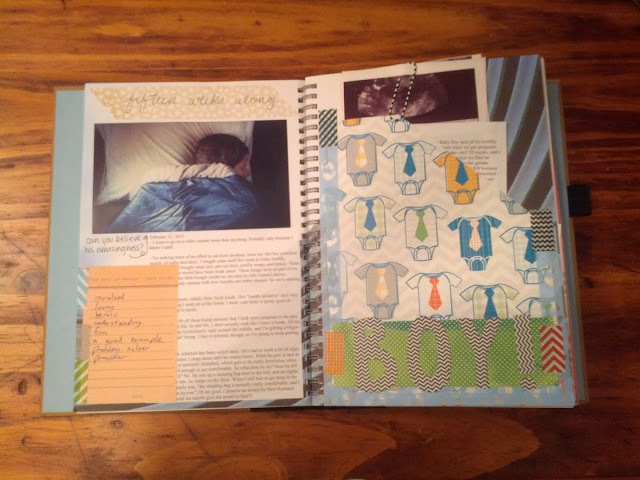 I got such a great response on my original post about the Baby Book Smash Book that I decided to share some more of the pages with you! 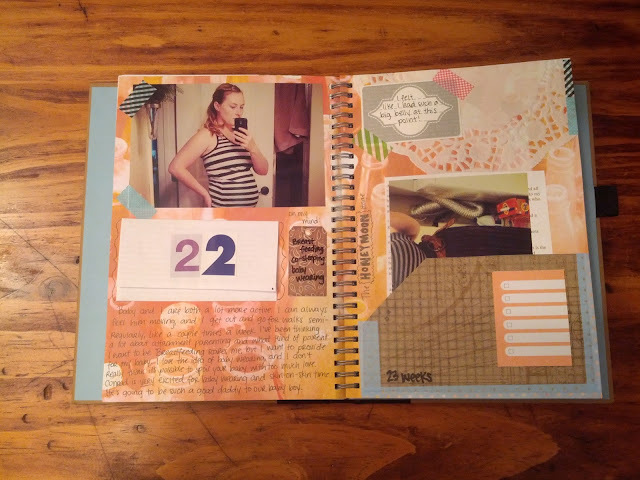 One of the great things about the smash book is that you can keep adding and adding (or smashing) stuff to the book. 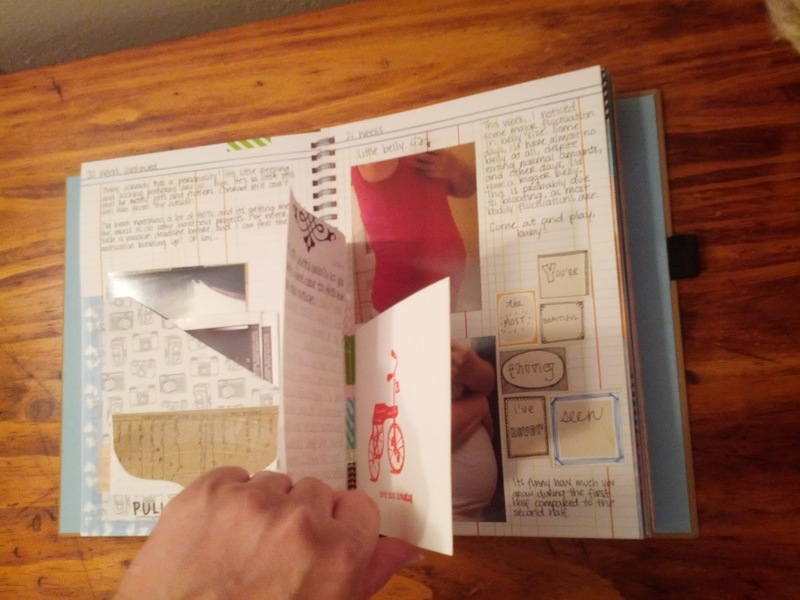 You can always find a blank spot on your page, or on one of your flaps, cards, envelopes, etc. 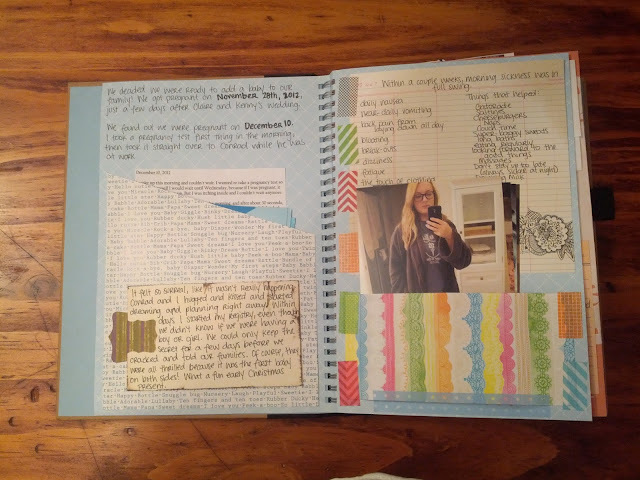 to add more if you remember something you wanted to journal or doodle. Most of my pages are "done," but some of them have quite a bit of room that I can add doodles or little notes to if I remember something later. Almost all of my pages have a pocket of some kind, which holds pictures, printed blog posts (related to that week of pregnancy), and notes. I loved the idea of layering my Smash Book, so I included lots of flaps in it, which in turn adds more writing, doodling, and picture space. 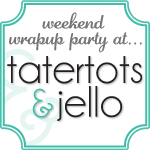 It was fun to play around doodling fonts and remembering what consumed my mind during each week of pregnancy. I used a ton of different materials. 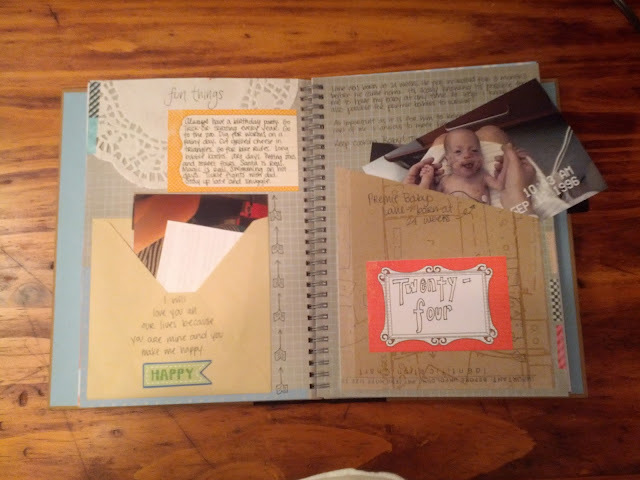 I have several different books of scrapbook pages, plus I went out and bought one that was "baby boy" themed. I even used magazine clippings here and there. This Smash Book was my first real experience using washi tape, and I have to admit, I'm in love. I bought a couple different brands, and the one that is Smash brand is way better quality and more adherent than the other ones. My pictures kept falling out of their pockets because the tape wasn't holding the bottom of the pocket down well enough. 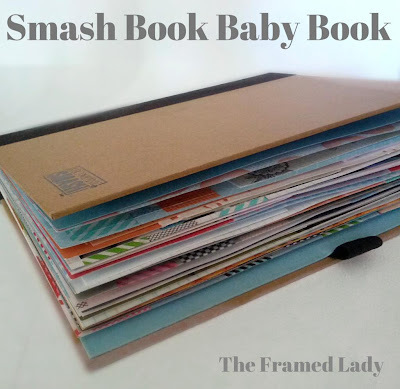 I'm really excited to keep adding to my Smash Book Baby Book! 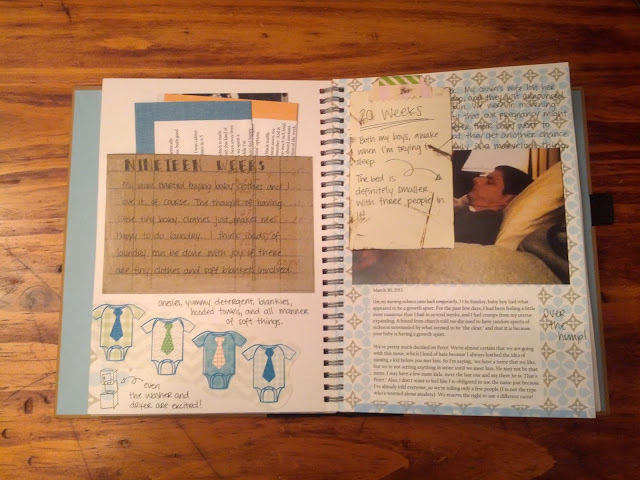 I still have 10 or 12 pages left, so I'll have plenty of room to finish smashing about my pregnancy and birth story, plus a little additional baby scrapbooking. What do you guys think? Would you ever try smash booking? More pictures to come soon! 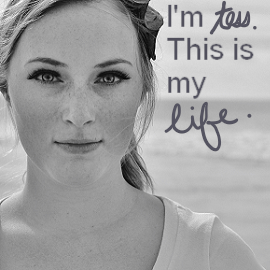 I'm still working on filling in the blank spaces. As you can see, My smash book is relatively empty compared to what it could be. HOLY CRAP. I lovelovelove this. 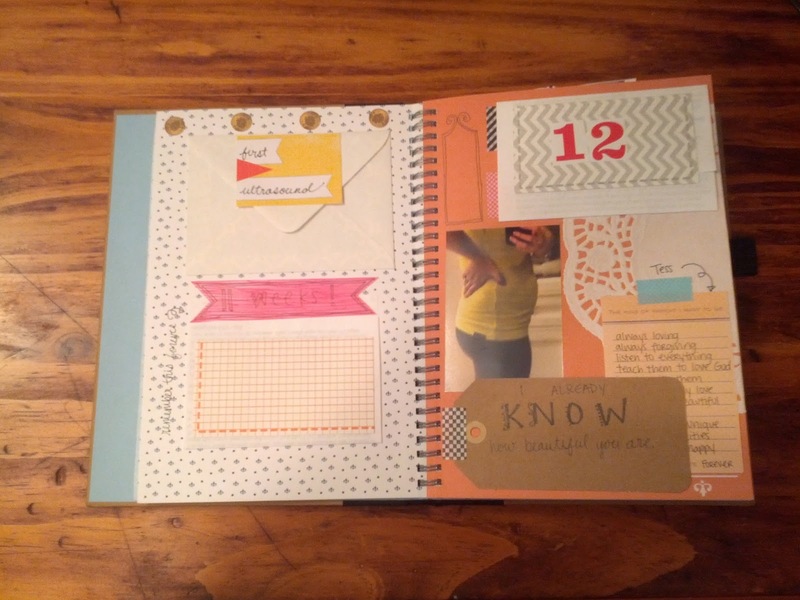 I wonder if I can go back and do Presleys weekly updates....hmmm...28 weeks is a lot. Maybe I will just do months?? 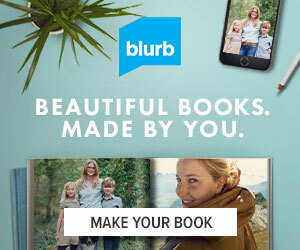 What kind of book are you using? Do you like it - recommend it or something different?? It's a Smash book (the brand). I got it at Michael's on clearance. I totally like it. You could probably find one for cheap on amazon, too. My only complaint is that the spine of the book is pretty small, and the book doesn't even close a little bit. If I ever do another art journal, I'll do one that's got a really big spine so I can stuff it full and not worry about breaking it. Ahhh! I JUST got one of these! (: Wal Mart had them on sale. I'm not preggers, but I can't WAIT to use it to document...well, everything else about life. I love the way you used yours. 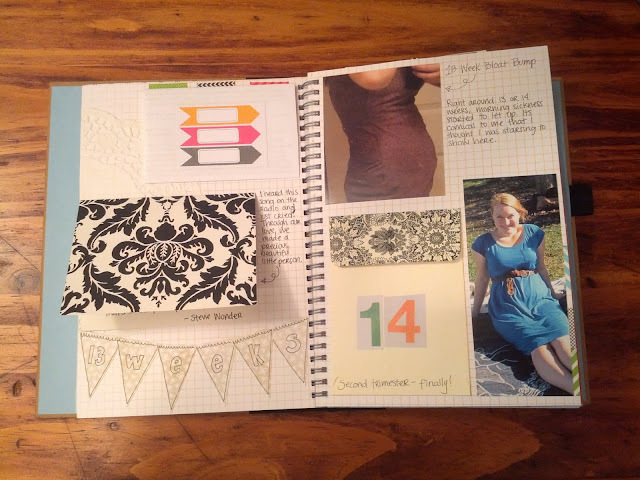 Obsessed with this, waaaay cuter and more personal than a scrapbook! Ugh your is so cute! I've only done three pages, (13weeks pregnant) and mine doesn't look as layered and cute. BOO! I guess the cool part is being able to go back! Yeah! You can always go back and add more and more to it. It's so fun!